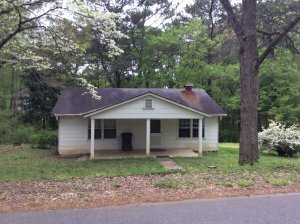 Do you need to sell your investment property in Marietta? In our latest post, we offer ways to know if it’s time to sell as well as the options available to you! While owning real estate is one of the best ways to generate extra income, not every property is going to be profitable. Many investors hold on to properties far longer than they should, completely negating any profits they had made in the past. If your investment property isn’t performing as you would like to, maybe it’s time you consider selling it for something else! Keep reading to learn more about our 4 signs its time to sell your investment property in Marietta. Investment properties will always have their ups and downs. It’s part of being a landlord. Look for patterns. If this is a regular occurrence, it might be best to hold on through the slow period. But if you are consistently seeing negative cash flow or if you are having trouble retaining high-quality tenants, it might be best to cut your losses and walk away. 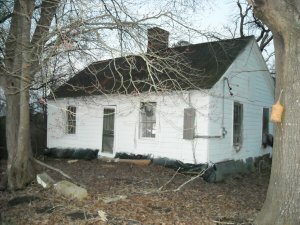 Nowhere does it say that you need to hold on to your rental property forever. There are better investments out there, and using the cash from your under-performing rental is a great way to change your situation. Being a remote landlord can work for some people. But in some cases, paying a property manager can be expensive and handling things on your own can be next to impossible. Property showings, tenant screenings, checking on the property, and building a relationship with your tenants can be difficult when you aren’t located nearby. Only in some situations are a landlord and tenant able to live far away without the use of a property manager. Many times, these relationships are possible because the landlord and the tenant knew each other previously or through a friend. If you are able to resell the house for a substantial profit, it might be in your best interest to do so. While you could be collecting rent each month, slowly profiting over time, there aren’t any guarantees you will be able to retain high-quality tenants for the long-term. You may run into vacancy issues, the rent prices in your area may fall, and the overall value may drop before you decide to resell down the road. If you have the opportunity to resell the property at a significant profit, it is something you will definitely want to consider. As the house gets older, it will likely cost more to maintain it. As you see your profits diminish and your repair bills grow, you need to ask yourself if this pattern will continue. Having to fix one thing after another can be extremely costly and frustrating. Not only can the maintenance get expensive, but the time and stress caused can be overwhelming for Marietta investment property owners. Your investment should be a sense of pride and generate income for you and your family. Property in any other state may be more trouble than its worth and a great candidate for a resell. 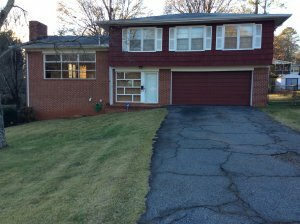 Do you own an investment property in the Marietta area that you wish to sell? Let’s work together to run the numbers! Find out if you should keep the property, sell it directly, or hire an agent to help you! You have options when selling your Marietta investment property, and we are here to help! It's Time to Sell Your House Fast and Enjoy Life! This guy is the best, he put a lot of time into selling my mother’s place , which was in very bad shape ..but hey he did it .got me a great price, and all the paper work went smoothly….thanks again. If you need to sell a house quick call John Clark. The best!